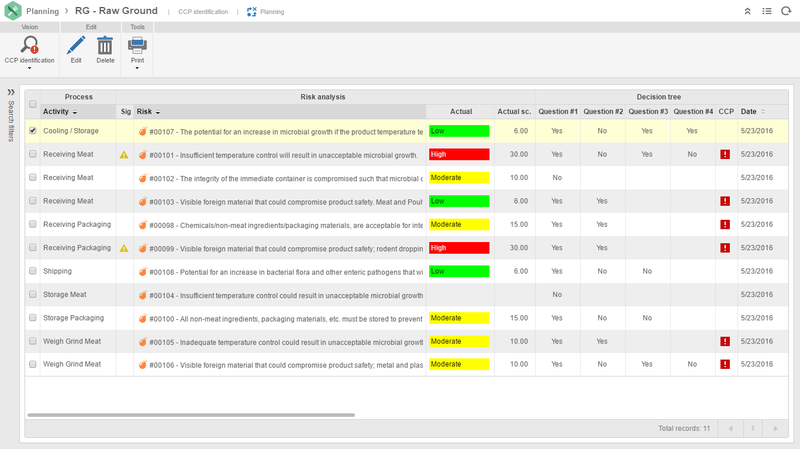 SoftExpert Food Safety is a software that manages food safety by comprehensively addressing biological, chemical, and physical hazards through analysis and control of each step in food production, including raw material, procurement and handling, manufacturing, distribution, and consumption of the finished product. HACCP is often the cornerstone of a Food Safety Management System (FSMS). HACCP involves identifying hazards within the FSMS and controlling them through prerequisite programs (PRPs) and/or Critical Control Points (CCPs) in the food production and preparation process. With SoftExpert Food Safety, all the information related to HACCP implementation is easy to input, access, and report on. Most importantly, SoftExpert Food Safety guides organizations through compliance with the ISO 22000 standard, as well as the Global Food Safety Initiative’s (GFSI) benchmarked schemes, HACCP/HARPC, SQF, BRC, FSSC 22000 and IFS. Establish, monitor and control Prerequisite Programs (PRPs) and their generic procedures, such as Sanitization Standard Operating Procedures (SSOPs) and Good Manufacturing Practices (GMPs). Apply and follow all the preliminary steps and the seven HACCP/HARPC principles. Conduct robust and specific hazard identification followed by flexible risk assessment. Conduct Critical Control Points (CCP) determination on significant hazards using intelligent and automated decision trees. Monitor critical limits for CCPs and send alerts when monitoring programs breach limits. 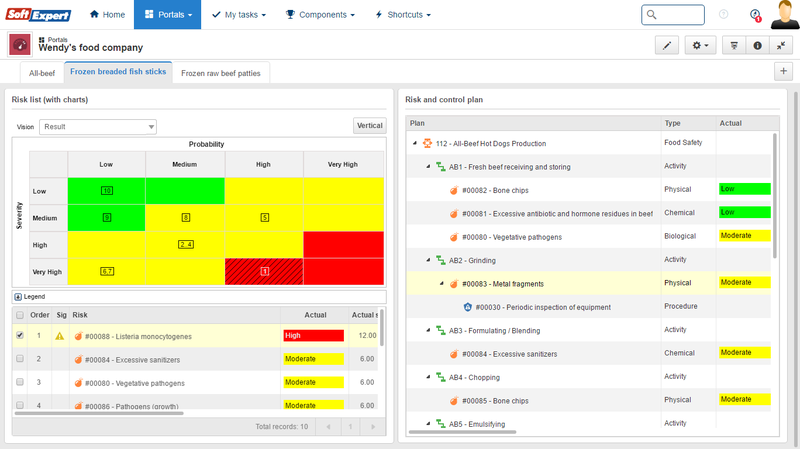 Classify the identified hazards among biological, physical, chemical and allergen categories, creating a robust and unique hazard database. Link hazards to the appropriate preventive controls and evaluate the effectiveness of the controls. 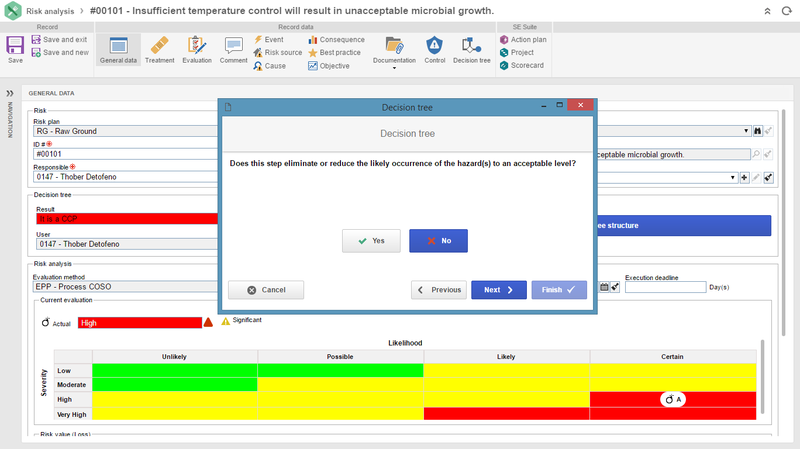 Create quick and easy HACCP flow diagrams with a built-in flowcharting tool. Support the management and revision of the HACCP plan, keeping the updated information always available. Capture quality and safety incidents immediately. Access and control all critical food safety plan documentation from a centralized repository. Plan, distribute, and manage compliance surveys and self-assessments. This White paper, PECB will discuss the main points of the ISO 22000, essential regulation to adequately control the entire chain of production. 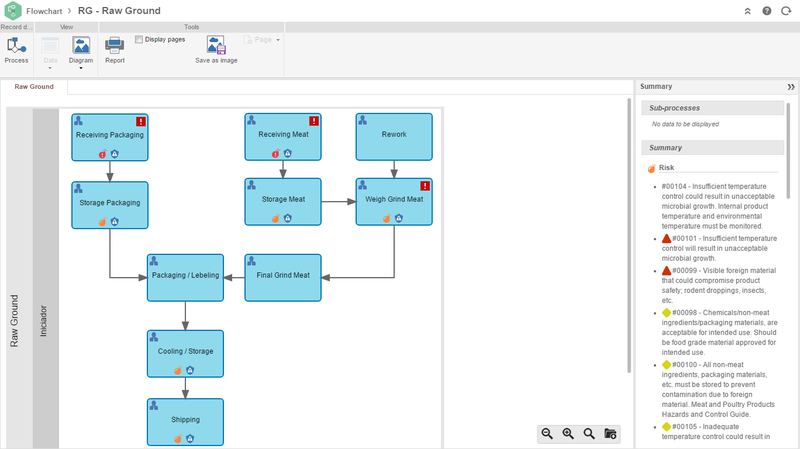 Connecting Processes to Business Value: What is End-to-End Process Architecture? Learn how organizations can improve business processes, deliver greater stakeholder value and stand out among the competition.